Can't get enough of Adobo! 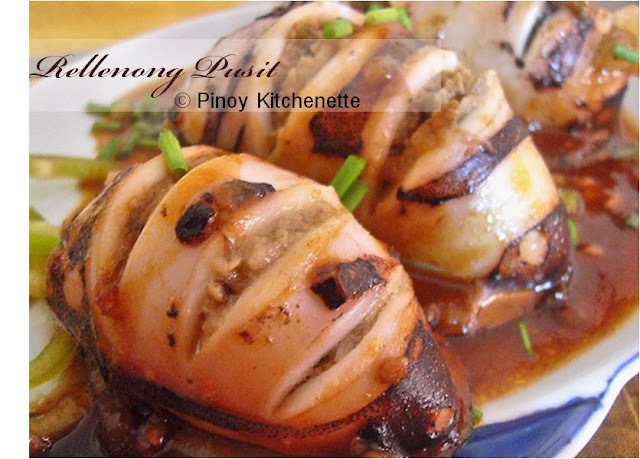 An easy dish to prepare but the tastiest which is my daughter's favorite. Since I had a busy week ahead, I had some pork marinated in the fridge, some for tapa and adobo. 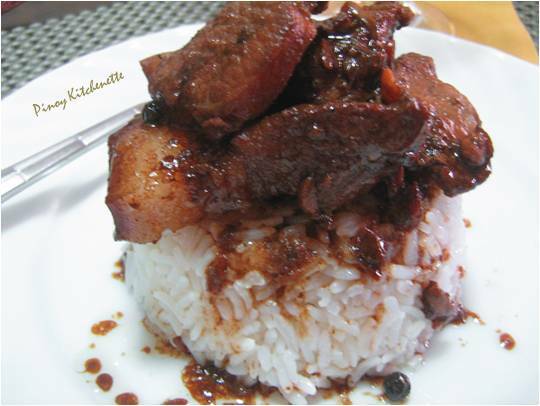 Almost each region boasts of their own special Adobo version, thus we claim Philippines as the Adobo republic. In a bowl mix together soysauce,vinegar, garlic and sugar. Marinate the pork with the sauce overnight in the fridge. Heat oil in pan. Brown the pork in batches. Reserve the sauce. In the same pan, pour in the the reserved sauce, toss in the pork. Add water, bay leaves and whole peppercorn. Cover and simmer for 10 minutes.Season with salt and ground pepper. Let simmer again for 20-30 minutes or until meat is tender and the sauce thickens. I swear........I'm drooling!!! I just bought a large quantity of pork at the store the other day...I'll surely try this recipe. That looks like a real winner!. The kind of food that's easy to cook and very tasty in the mouth. Now, that is my kind of adobo! Succulent with the sauce dripping down the rice, ohhhh yumm! My mouth is watering on your Adobo! Have a nice weekend! thanks so much for sharing this over at Food Friday! Stopping by from Food Trip Friday! So yummy! I love adobo, especially if it's a mix chicken+pork+egg adobo. what's the difference between pork adobo and humba? Basically,pork humba and adobo have the same cooking procedure which is braising the pork in soysauce, vinegar and garlic.. But they are definetely not same (as what my Visayan husband insists :) and other visayan as well~ this is one of their most pride dish) Pork Humba includes banana blossoms, black beans and sugar. 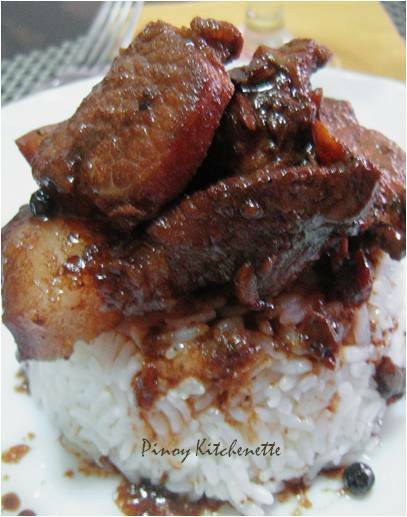 But you see, even dishes evolved~~ every family makes their on variation on how to prepare adobo and humba. I remember my dad even uses banana blossoms and plantains too for his adobo. And there are also adobo variation w/c doesn't make use of soy sauce. But i guess the most distinct characteristic of humba is it's much sweeter than the usual adobo.